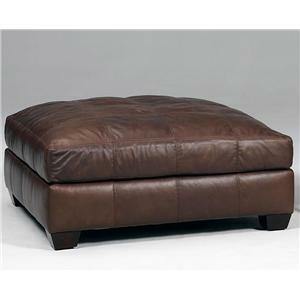 This polished-looking ottoman is incredibly functional and stylish. 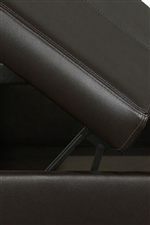 Take advantage of its storage capabilities, and also use it as extra seating, a footrest, or extra table space when you need it. 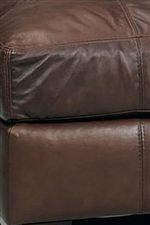 Exposed wood block feet provide a beautiful accent to the leather, and its size is a perfect fit in a variety of rooms, and it can complement a variety of home styles. 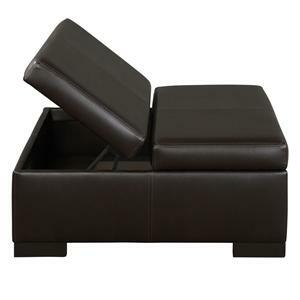 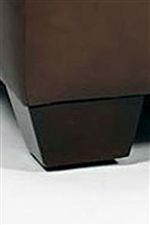 The Donavan Casual Leather Storage Ottoman with Exposed Wood Block Feet by Jonathan Louis is available in the area from BigFurnitureWebsite.